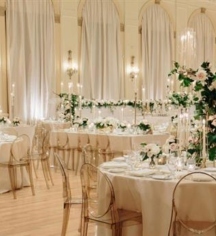 Begin a life together at Fairmont Royal York and live a fairy tale. 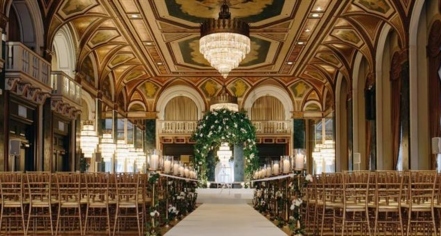 With elements such as soaring ceilings and crystal chandeliers in the Concert Hall or the Italian influences in the Ballroom with its oil-painted ceilings, happy couples have an abundance of choices for styles and themes for tying the knot. Wedding specialists are on hand to help choose décor, menus, and vendors to assist with every detail. Enjoy a world-class celebration unlike any other at the premier wedding venue destination in Toronto.